She practices what she preaches in her own work. 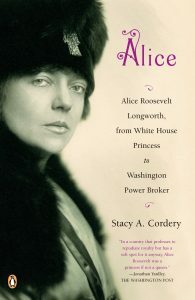 Cordery is the author of four books, most recently a biography of Girl Scout founder Juliette Gordon Low (Viking, 2012)* and of Alice Roosevelt Longworth (Viking, 2007). She is currently completing a biography of cosmetics entrepreneur Elizabeth Arden for Viking. 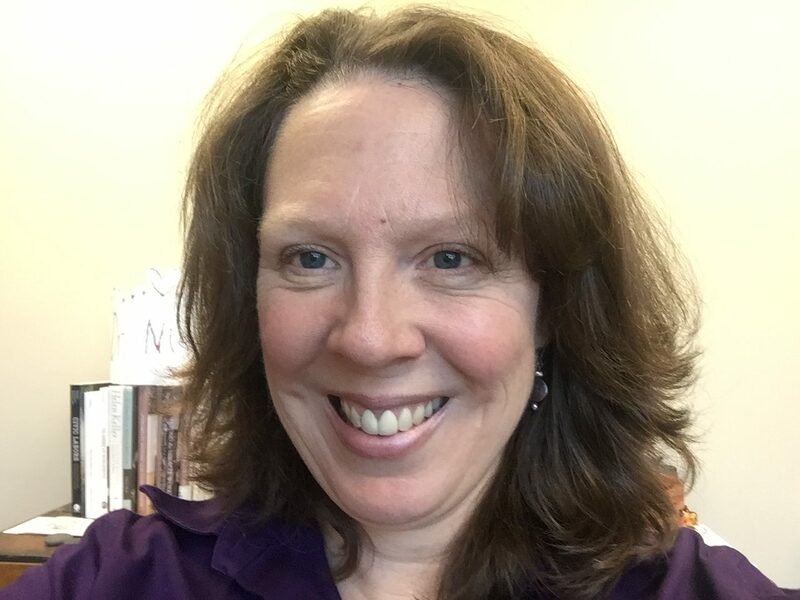 At Iowa State University, where she is professor of History and an affiliate faculty member with the Women’s and Gender Studies Program and the Carrie Chapman Catt Center, Cordery teaches the History of First Ladies, the Gilded Age, and the modern U.S. survey. Before coming to ISU in 2016, Cordery taught for 22 years at Monmouth College. She is the visiting distinguished historian of the Theodore Roosevelt Center and serves as treasurer for SHGAPE. 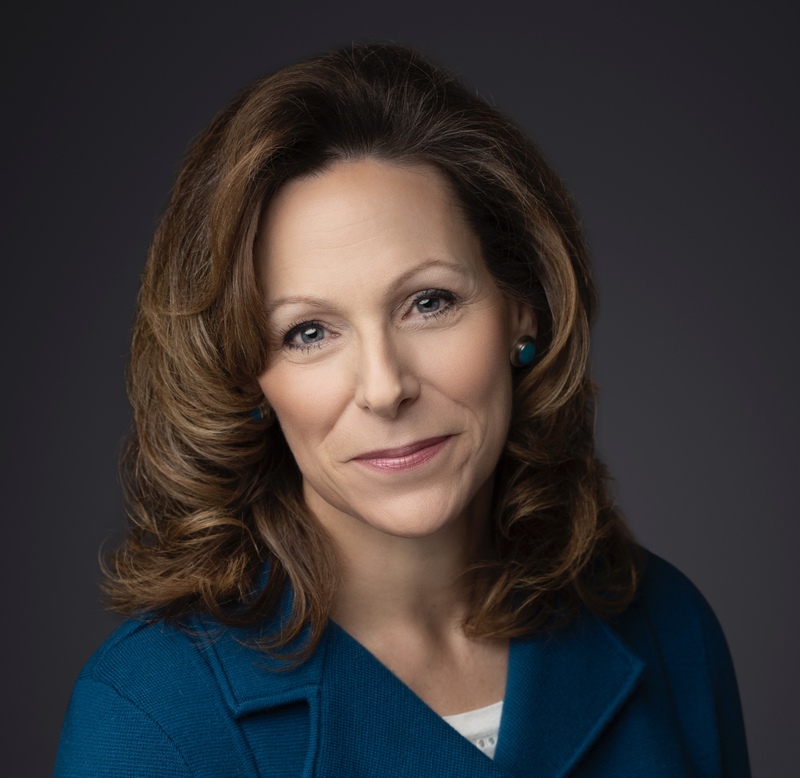 Cordery is a sought-after speaker who has appeared on C-SPAN, the Diane Rehm Show, the History Channel, the Smithsonian Channel, and NPR’s Weekend Edition. She’s given talks at, among others places, the Wilson Center, the National Constitution Center, the Miller Center, Printers Row Lit Fest, and the Savannah Book Festival. 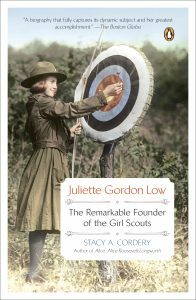 After having written her biography, I truly believe that Juliette Gordon Low should be in every textbook at every level. Low founded the most important organization for girls and women in this nation when she created the Girl Scouts of the U.S.A. in 1912. Girl Scouting had a profound impact on girls, certainly, but also on women. I think we forget that the women who stepped up to lead troops or to volunteer at the council level learned all manner of things. 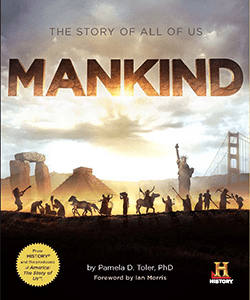 They received training in whole skill sets—leadership, accounting, first aid, communication, engineering, chemistry, nursing, survival techniques—which oftentimes translated into later remunerative work. In the early years of Girl Scouting in particular, this was training they could not readily get anywhere else. The works and the impact of individual Girl Scouts, local troops, and Girl Scouts on the state and national level still need to be researched, analyzed, and written about. When my biography came out in 2012, one-half of all American women had some connection to Girl Scouting. I think that everyone should know about the female founder of an organization that is still in existence—and still doing good work—over one hundred years after its creation, especially as that organization is largely led by women and remains committed to its original mission of helping girls and their communities. It is mystifying to me that she’s not as well known as Andrew Carnegie or Jane Addams. 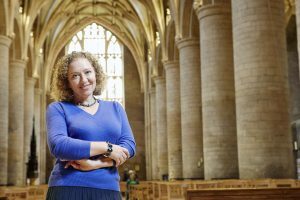 What’s it like to live with a subject of your biography for a period of years? My undergraduate degree is in Theater and I liken it a bit to acting in that I feel I must try to get inside her head. It’s also partly like meeting a new friend—you work really hard to understand her, to see her point of view, to analyze how her past has shaped the decisions she made, to empathize when you can and sympathize when you can’t. You try to keep her circle of friends straight and pay attention to which friends play what roles in her life. You listen hard to her words and to her silences. The big differences are that since my biographical subjects are in fact not my friends, I can talk about them incessantly to my colleagues! I can second-guess them! I can—indeed I must—go looking for verification of whatever they say, write, or do. I have to step back at some point, lose the empathy, and challenge everything I think I’ve learned so that I can look at her and her life from many sides—some not complimentary, some not even very nice. I do find people endlessly fascinating and that’s why I think I’m a biographer. My subjects have frustrated me, annoyed me, amused me, and taught me a great deal. They have never bored me. What’s you next book and when will we see it? I’m under contract with Viking/Penguin for a biography of Elizabeth Arden. Here’s another woman about whom we know far too little. Arden was an immigrant and hers was a rags-to-riches story. At one point in her life, she was the wealthiest woman in America. Her imprimatur moved make-up from the world of prostitutes and actresses into high society; we’re still living in the wake of that sea change. She was an innovator in several fields, including advertising and merchandising, in addition to all of her inventions connected to beauty and health. She was sole head of her company from its creation c. 1909 until her death in 1966. And, she had a parallel life as “Queen of the Turf.” She raised, bought, sold, and raced thoroughbred horses so successfully that her horse won the Kentucky Derby in 1947. This book allows me to learn about fields I don’t normally encounter—horse racing chief among them!—but she was an influential and important American entrepreneur and CEO. The manuscript is due in 2020, so we should see it in print a year or so later. 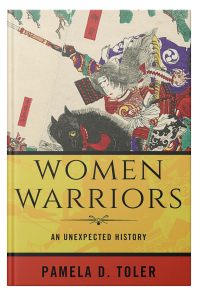 Finally, my question for you is my favorite of your questions right back at you: If you could pick one woman from history to put in every high school history textbook, who would it be?—And why? 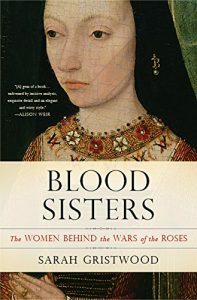 Over the course of writing Women Warriors, I kept coming back to Matilda of Tuscany (1046-1115). In fact, I wrestled with her over and over again because she took over every chapter I tried to put her in. Matilda’s appearance in history books, to the extent that she appears at all, is generally limited to one incident, known as the Humiliation at Canossa. In 1077, the Holy Roman Emperor Henry IV arrived as a penitent at her fortress at Canossa to petition Pope Gregory VII for absolution. It’s a dramatic incident, complete with the emperor dressed in sackcloth, standing barefoot in the snow, and begging for admission to the fortress for several days. When Matilda appears in accounts of the event, her role is often limited to that of a peacemaker. In fact, the Humiliation of Canossa was one brief moment of peace in the Investiture Controversy, an ugly struggle between emperor and pope that was ostensibly over who would control appointments to religious offices and was at root over the relationship between secular and religious power. Matilda, the peacemaker of Canossa, provided the main military support for Gregory and his successors in their struggles with Henry for the next twenty years and became the secular rallying point for the reform cause after Gregory’s death. Over the course of a forty-year military career, Matilda mustered troops for long-distance expeditions, fought successful defensive campaigns against the Holy Roman emperor (himself a skilled commander), launched ambushes, engaged in urban warfare, directed sieges, lifted sieges, and was besieged. She built, stocked, and fortified castles. She maintained an effective intelligence network. She negotiated alliances with local leaders. She rewarded her followers with the favorite currencies of medieval rulers: land, castles, and privileges. 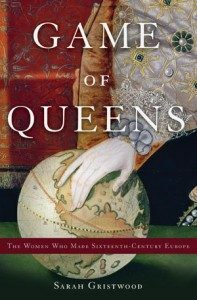 Matilda was both a skilled military commander and a key player in the most important political and theological issue of her time. (Basically the same thing in eleventh century Europe.) Her name means “mighty in war” and she lived up to it. Want to know more about Stacey Cordery and her books? Dr. Kim Nielsen is Professor of Disability Studies at the University of Toledo, where she also teaches courses in History and Women’s & Gender Studies. Her scholarship explores disability, gender, and citizenship throughout U.S. history. 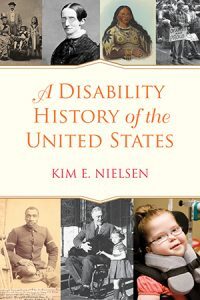 Nielsen’s latest book is A Disability History of the United States (Beacon Press), the first analysis of disability throughout United States history and covers the period prior to European arrival through the present. 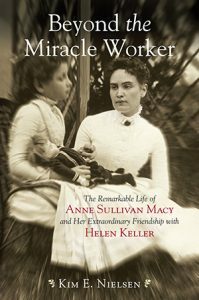 Other books include Beyond the Miracle Worker: The Remarkable Life of Anne Sullivan Macy and Her Extraordinary Friendship with Helen Keller (Beacon, 2009) and The Radical Lives of Helen Keller (NYUP, 2004). Nielsen holds a Ph.D. in History from the University of Iowa. I read Naomi Alderman’s ­The Power several months ago and haven’t been able to get it out of my head. It reads like a straightforward, captivating story, but the more one sits with it the more complicated, disturbing, and thought provoking it becomes. I had no idea of the beginning’s significance until the end. 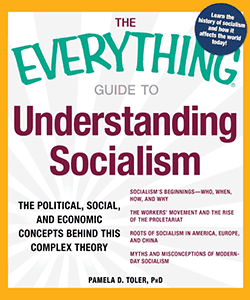 Next month my book club reads this book. I’ve picked it up again, am enjoying rereading it, and am eager to discuss it. My next book is Mrs. Dr. Anna Ott: A 19th Century Life of Money, Marriage, and Madness—and will be out in late 2019. 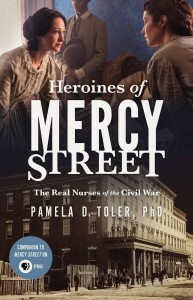 This is a biography of a completely unknown woman who survived two tumultuous marriages, one of which included substantial domestic violence, garnered significant financial resources, served as a physician, and died after 20 years in an insane asylum. It’s a fascinating story and I’ve learned so much about marriage law, institutionalization, and the consequences of a stigmatized diagnosis. Women change their names when they get married—sometimes multiple times! Why?!? This often literally erases women historically and makes it difficult to find them. 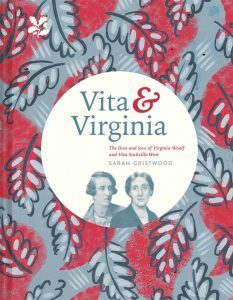 It is also a part of how family can subsume women in history in both subtle and direct ways. My question for you: How did you come to love history? By the time I was in high school, I was that nerdy kid who hung out at the local historical society and Wilson Creek National Battlefield on the weekends.